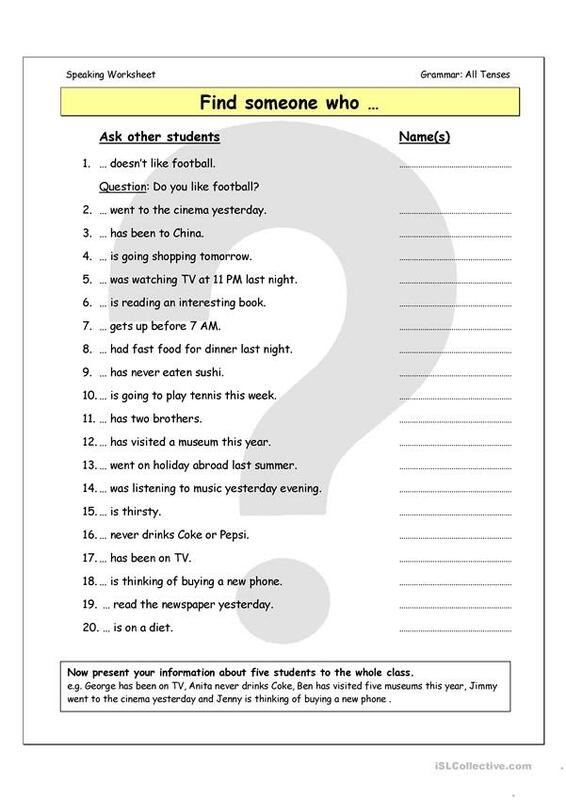 Find Someone Who is a very useful activity that helps students make correct questions and have a short conversation. Students go around the classroom finding someone who has (or hasn't) done what the question asks. Enjoy. The present downloadable teaching material is meant for high school students, elementary school students and adults at Pre-intermediate (A2), Intermediate (B1) and Upper-intermediate (B2) level. 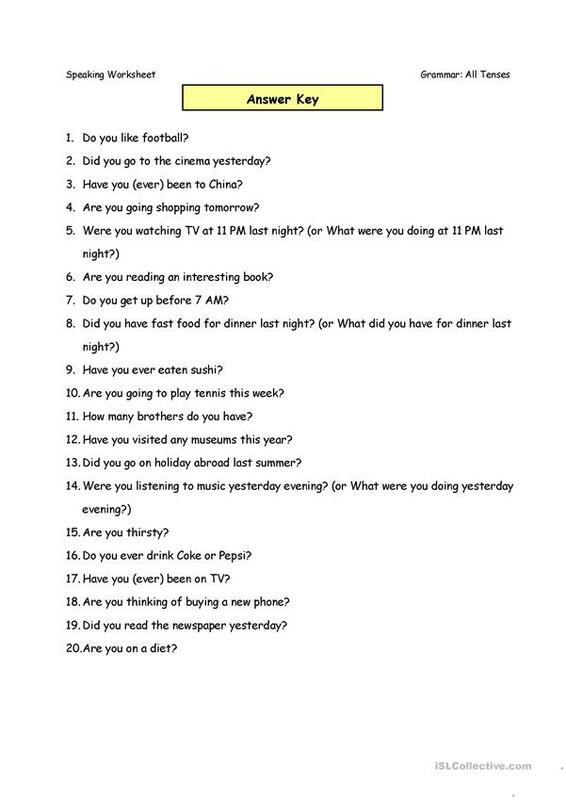 It is valuable for consolidating Questions in English, and is a valuable material for improving your groups' Speaking skills. The key is provided, too.